VENUE SPONSOR – MARCH 5, 2017 – More Details Coming Soon! Filed Under: CANADIAN, Canadian Events, FEATURED, FEATURED EVENTS, LOCAL EVENTS, SPECIAL FEATURE, WOMEN "Positive Action", WOMEN that "Share in Positive Action" for Our World! 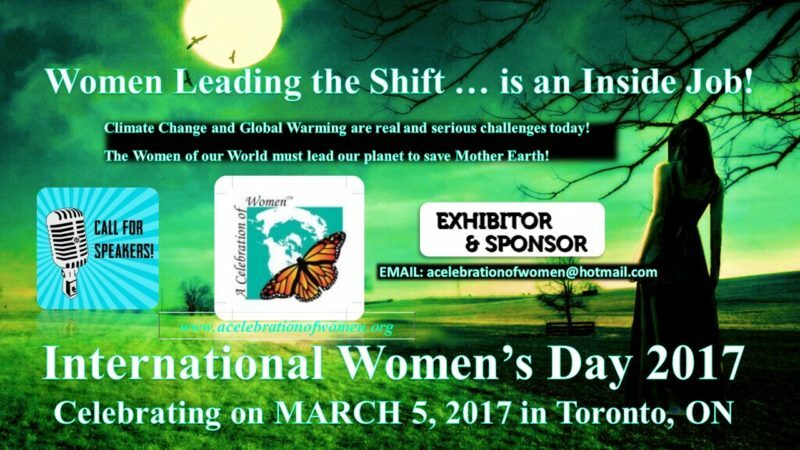 Tagged With: A Celebration of Women, acelebrationofwomen.org, conferences, earth, events, global issues, global warming, International Women's Day Celebration 2017 - March 5, IWD2017, Mother Earth, save the planet, special events, Toronto, Toronto conferences, Toronto Events, woman, women leaders, women leading, women's events, women.